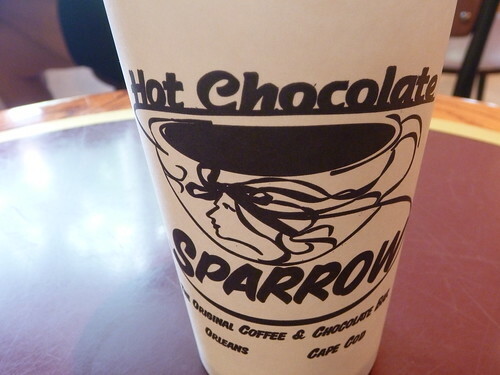 May 28, 2011 by Alphageek in "alphageek", "review", "urbanspoon"
A favorite to hit, every time we make a visit to Orleans, the Hot Chocolate Sparrow is a great place to get coffee. They have a great selection of coffee, which is pretty sure to get the Alphageek in, as well as getting the Alphageek to write a review, even while on vacation. Mrs. Alphageek likes the touch of having everything one needs to dress up coffee including cream, whole milk, and skim milk. Usually, one has to ask for skim milk, but they are all here without asking. The Alphageek thinks they have great coffee and that alone is enough to get a post. They also make decent breakfasts here too. I am a big fan of simple. To me simple says if a place is good or not. 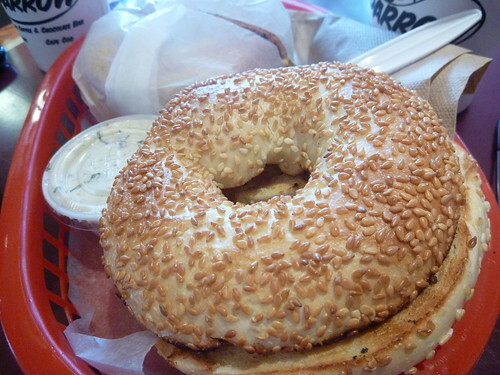 They make a great simple egg on bagel here. 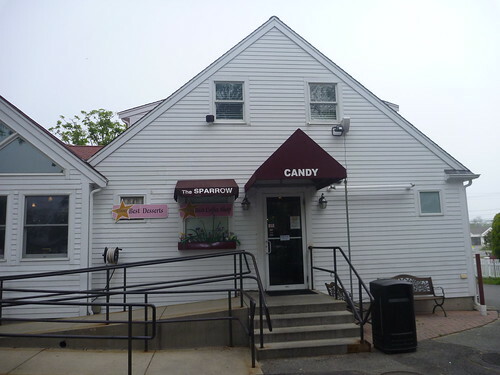 It is so good, I always make a point to stop by and have one, anytime I am on the Cape. I also notice that this is a friendly hangout kind of place. Additionally, there are a lot of take out orders. These two facts make this a popular place, and the fact that I have never seen a long line here is rather impressive. They have a pretty impressive selection of other food too. We will have an update here, if we get to try some more.